Everton was founded in 1878 by the St Domingo Methodist New Connexion Chapel in Breckfield Road North; it was named St Domingo FC and was created so that members of the congregation could play football as well as cricket. 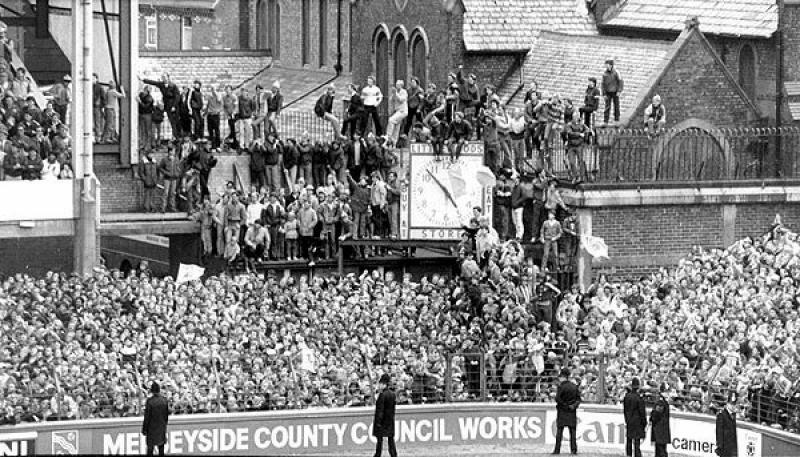 The club was renamed Everton in November 1879 to allow people outside of the congregation to participate. 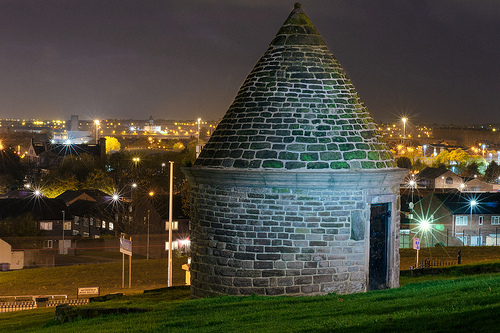 On April 17, 1888 Everton became a founding member of the Football League. Representatives of the Blues along with Aston Villa, Blackburn Rovers, Bolton Wanderers, Burnley, Derby County, Notts County, Preston North End, Stoke, West Bromwich Albion and Wolverhampton Wanderers met at the Royal Hotel in Manchester. The move followed concerns that too many friendly games were being cancelled thereby depriving the clubs of gate money, and playing a set number of matches home and away should offset any losses derived from losing friendly matches. Membership was set at £2 2s a year. 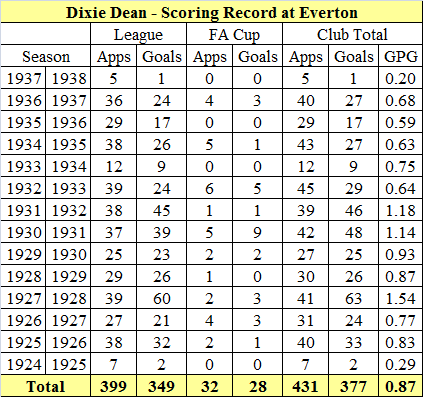 In 1925 they signed Dixie Dean from Tranmere Rovers. Prior to the final game of the 1927-28 season Dean had been injured but was declared fit to play just before the kick off; the game was at home to Herbert Chapman’s legendary Arsenal side, he needed to get a hat-trick for the league scoring record. The Gunners had the famous Charles Buchan playing his final match before retirement in their defence and he was eager to ensure Everton’s young upstart didn’t steal his show. It was, however, undeniably Dean’s day. He scored the third goal of his hat trick and the record 60th of the season in the 85th minute. His record stands to this day. He scored 37 hat tricks for Everton – First: 17/10/1925, Last: 7/11/1936. Thirty one games played and we are down to our final seven games of the season; Sunday will be the first of the five away games we have to play and none of them will be easy. If we win all seven games we will be guaranteed both third place and a place in the 2019-20 Champions League. My breath is bated and I await the games with a great deal of nervous anticipation. This entry was posted on Friday, April 5th, 2019 at 6:47 am and is filed under Uncategorized. You can follow any responses to this entry through the RSS 2.0 feed. You can leave a response, or trackback from your own site. Loads of good stuff in there again, GN5. This made me laugh even if it isn’t true. Who knows these days? Another fact filled post. Thank you GN5. All the founding members listed by GN5 still exist. Do you mean un-oiled, non-lubricated? 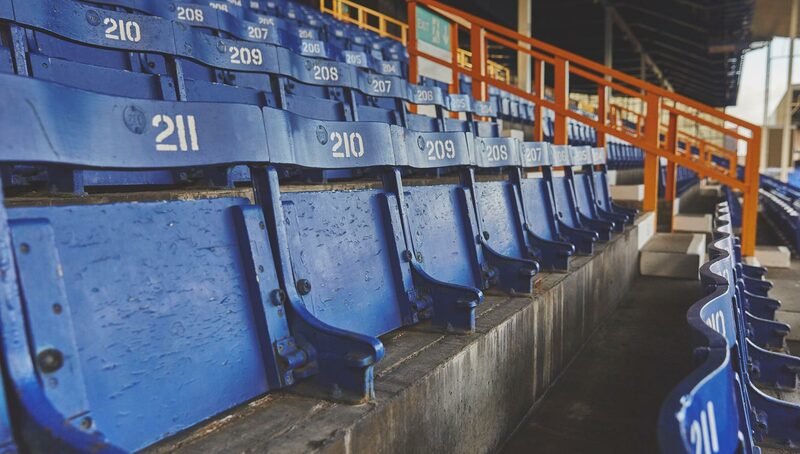 Goodison’s Bullens stand where the away fans sit (well stand mostly, but sit at half time) still has wooden seats from Dennis knows when. They’re much warmer on the derriere than the new cheap plastic seats elsewhere. Obviously nowhere near as good as the padded seats at the Emirates for the cosseted Gooners! Again, there is always something, a little snippet here, or an explanation there that adds to my education. In the back of my mind, I remember a couple of friends (one a ‘Pool fan and one a Toffee) were arguing because I think ‘Pool are associated with ‘Anfield’ but Everton never played at Everton, but also originated in Anfield. Maybe you know the truth of it. Originally there was only one team in Liverpool – the Everton Football Club and they played at Anfield. The ground was owned by John Houlding the clubs president; a dispute between Houlding and the Everton clubs directors, over the grounds rent, resulted in Everton moving to Goodison in March 1892. This left Houlding with an empty stadium causing the creation of the Liverpool Fooball Club. Whenever I want to wind up all my Liverpool FC relatives, I ask them about the origins of their beloved Anfield! Tommy Lawton opened the first Arsenal Museum in the North Stand at the original HOF. As I’ve written before, my Father, myself and my son were lucky enough to be guests at the opening. Now that is really interesting, GN5, thank you. Nothing is ever quite as it appears — and I am amazed how often friction features in the histories of neighbouring clubs. I was fortunate enough to see Lawton play at Highbury for a few years and he really had a thunderous shot. I just watched a Pathe video of Tommy being interviewed by Peter Alliss. He was a very modest man and lived out his days in a rented house and lived off of supplements, there was not much money to be earned as a football player back then. Did I not once see that Anfield and Goodison Park are quite close to each other, being on opposite sides of Stanley Park? 26 years and one day ago we beat Spurs in a FAC semi-final at Wembley with TA6 scoring an unstoppable header. I was there for a great day out in the sun, it was revenge for the awful Gazza semi at the same venue. Was that a diet BBQ? Very strange things happening with Word Press. My comment at 6:56 never showed so I tried again at 6:58 and they both turn up? Some very strange things happening with Word Press. It just happened again. I’d copied my 7:03 and when I tried to re-enter it Word Press told me it was a duplicate comment – so I added the first word and tried again and the second one did not show. I logged out then came back on to find both comments??? Set yourself up with a gravatar, login and stay logged in and then these problems seem to disappear. Your post today has got super numbers, 1500 views, nearly 1200 visitors to AA. Thanks for the numbers Chas and the gravatar info I’ve saved it and will take a look later. Didn’t expect S’ton to score. Will be an interesting game now. Soton too deep already after just over 20 mins. Only a matter of time before the equaliser. I love that Iwobi goal in the video and the close up goal celebration. It was even better being there on those wooden seats. He is so underrated. 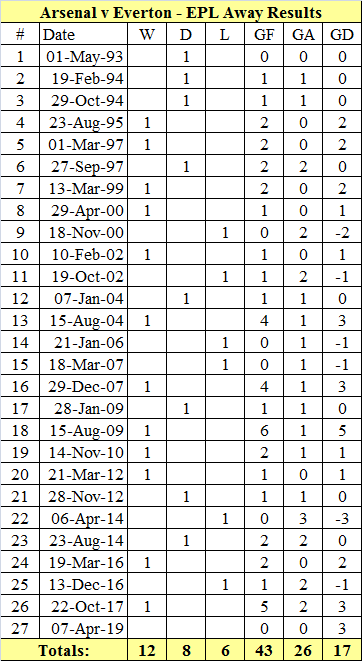 Much has been written in the media about Arsenals poor away record.It works both ways. Arsenal can only improve or sink to greater depths. Everton will be a tough game,no ifs and buts. They have some good strikers who,imho,maybe a tad below Spurs and Chelsea danger men.Include MU . If the gunners can stifle these strikers,there is no reason why a similar job cant be done on the Blues guys.Of course very game is different.1-0 will do. 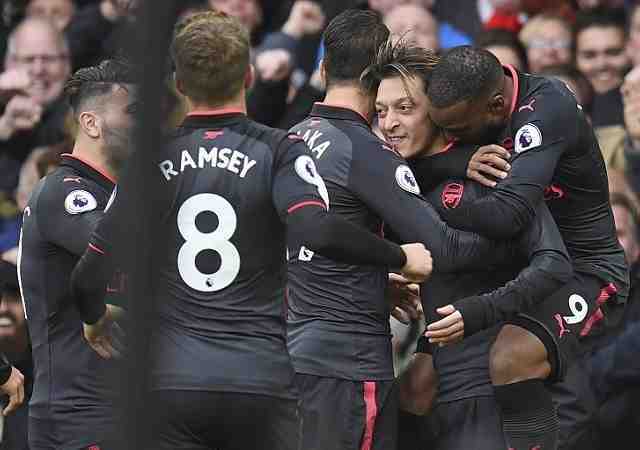 Under Emery I am more confident tactically than Wenger.If the gunners next meet BM,believe me the Germans wont be able to repeat twice 5-1 .Emery could even win. I keep seeing nutmeg clips in Arsenal training but this is still my favourite. Have you got more holes to dig this morning? Are any of the specimen trees in the ground yet? We have another belting post from GN5’s Century Club series for today. When I replaced the tyres on my mountain bike, I didn’t want to chuck them out. Not everyone likes them where they are now, but I do and that’s all that counts. I’m not sure Lady Peaches of Hertfordshire would approve of my pathetic attempts at brightening up a small garden! Right I need to get showered soon, so the post will be up in five. stupid to do so.Everton are in full throttle knowing the gunners have a hard game against napoli.